Entering the workforce or changing careers can be one of the toughest hurdles of our lives. Even before we land a position, we must make it through the taxing job search process and develop a resume. Even then, we aren’t guaranteed a job. Military members face even greater challenges when transitioning to civilian life. Most often, with only military experience to rely on, where do you begin to translate codes, acronyms or training associated with terms civilians will understand? How do you condense years of military training into a resume that doesn’t span miles long? As a veteran who has found a fulfilling new career in the civilian workforce helping active-duty service members and veterans make the same successful transition, here are my top resume-writing tips to show employers that your military skills and experience will translate to the civilian job market. 1. Translate your skills and accomplishments in a way that shows you are a good match for the position for which you’re applying. 2. Formulate your resume as such that will make employers want to bring you in for an interview, giving you a chance to prove why you’re best suited for the role. 3. Serve as a guide to assist you in best marketing yourself in your job search and in interviews. Your resume should always be concise, yet detail the most important aspects of your military service. Cover letters should never reach past one-page in length, with the standard two-page maximum for resumes, regardless of the number of years of military service you hold. It is not necessary to include everything on your resume - only mention the most recent and relevant information. Whenever you write, it’s always important to keep your audience in mind. Your resume is no different. Chances are the employer or hiring official will have no prior knowledge of military terms or training. It’s important for you to remove any type of military language, using words anyone would understand. For example, I was an Airman Leadership School Commandant, but on my resume it is listed as Program Manager. Translate your training and many titles into layman’s terms. Avoid using acronyms as you normally would when referring to specific ranks or bases. Instead, write generically. Convert military titles to the equivalent civilian workforce, i.e., “supervisor” instead of “non-commissioned officer.” The Military to Civilian Occupation Translator can be a helpful resource in matching military skills and experience to civilian occupations. The final review process can be the most important part of writing your resume. Ensure that your resume is easy to read and, more importantly, easy to understand. You can do this by having a civilian or two you know and trust review your resume. Make sure they can clearly understand how your military experience translates into the corporate world, and note any changes you need to make to terms that can cause confusion. The end goal is that they can finish your resume without any further questions about your previous experience. Craig R. Smith is the director of Veteran Affairs and is responsible for all aspects of the University's veteran programs. Prior to joining the University in 2013, Craig served as an aerospace science instructor for the Air Force JROTC program at Vineland High School. He is an U.S. Air Force veteran who has served in a variety of roles while on active duty from 1991-2012, directing enlisted and officer professional military education (PME) programs for Europe and Africa while serving as the International Training & Development Director for the United States Air Forces in Europe. Craig has also developed and implemented policy and coordinated PME matters with senior leaders, the Air Force Personnel Center and Headquarters United States Air Force. 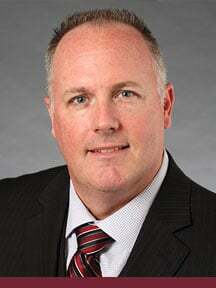 He holds a Master of Business Administration degree from Centenary College and a Bachelor of Science degree in Workforce Education and Development from Southern Illinois University at Carbondale.